The Constitution of the United Republic of Tanzania, 1977 vests the authority and responsibility to administer justice in the Judiciary of Tanzania. The Judiciary has its foundation on Article 107A (1) and 107B of the Constitution and states clearly about the Independence of the Judiciary in the United Republic of Tanzania. Now the strategic plan for Judicial Independence is focused in both form and content. 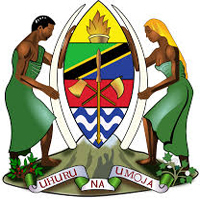 The mandate of Judiciary to perform its functions is obtained from the Constitution of the United Republic of Tanzania vide article 107 and its primary function is to dispense justice with equity and compassion according to laws of Tanzania. Interpreting diverse Laws and execution administrative decisions. Hearing and deciding cases filed before the courts of law. Educating members of the public of their rights obligations under the laws of the Tanzania. Facilitating maintenance of peace and order through good governance and the rule of law. 2:3:1 VISION: Timely and Accessible Justice for All. 2:4:2 MISSION: To carry out the administration of Justice to the general public in dealing with disposal of cases effectively and efficiently. Since the launching of the legal sector reform programme some years ago, the Judiciary has made notable interventions in enhancing its functions in the administration of justice and the Rule of Law. Bellow is major findings, achievements. Establishment of effective case flow management committee both in National level and lower courts. Strengthening ethical committee of ethical committee. Establishment of High Court centers. There is notable increase allocation of financial resources from 23% of the actual request in 2002/2003 to 40% in financial 2006/2007-2009/20010. All these measures created a new culture and friendly environment for all Judicial and public in order to enhance their rule of law and good governance. On top of these significant achievements Judiciary is undertaking reforms to review its organizational structure to cope with social and economic development of modern times. Taking to account of these changes some new structure and units had been introduced. (a) The Judiciary has its Client Service Charter now under revision. (b) Complaints Handling Mechanism in Judiciary exists in different forms starting with traditional suggestions boxes in every Court which handles many complaints from the public. When these reports are compiled they are filed in special confidential files for immediate actions from the accounting officer in charge. This system exists in every zone and at end all information reaches to Registrar High Court or Registrar Court of Appeal. The Chief Justice’s office meets with the members of the Public in every Thursday of the week to register complaints and files them for CJ. If the complaint qualifies; an appointment is made for the complainant to see the Chief Justice on Saturday of the same week. Upon listening to the complainant the Chief Justice immediately takes the necessary steps to solve the problem either by talking or to write direct to relevant authority .This procedure has solved a lot of problems which initially seemed chronic. The number of complainants dwindles as days pass. This is an indication that the system works. To enhance monitoring of complaints, IEC unit of the Judiciary is on the way introducing a telephone hotline to register all complaints and direct them to respective departments, units and advice on various ways of solving customer complaints and review the service client charter. Recently, with the operations of Web site at Commercial and Labour courts enhanced information exchange with other court centers. The web site for Judiciary of Tanzania is under conctruction. More ever, the IEC unit with collaborations with editorial committee of the Judiciary continues to publish a quarterly Judicial News Letter known as “Haki Bulletin”. The former weekly radio progrmme ‘Ijue Mahakama’ is under progress and will be aired soon as stipulated on IEC action plan. The Judicial strategic plan is associated closely with existing reforms currently taking place in the Judiciary. The proposed system makes possible for transparency of Judicial operations and division of responsibilities within the Judiciary itself, including the establishment of the Chief Registrar’s office, establishment of Legal Unit, Planning ,Evaluation, Monitoring Division and at last, the Case Management Division. For the first time in recent years the audit report for Judiciary has been improving for example in 2006/2007 the Judiciary got adverse report on financial statements based on outstanding amount of cases involving laundering of public money. In 2007/2008 the Judiciary got qualified opinion. In case of Open Performance Review and Appraisal System (OPRAS) Judiciary was omitted in the project and still uses the confidential reports system of monitoring work performance by its staff. As regards to customer perceptions on the improvement of service delivery, for last two years the Judiciary has been advancing in the use of IT in service delivery. For example all Judges of the High Court and Court of Appeal have been supplied with modern laptops and this in turn helps to reduce the time taken for delivery of judgments. Not only that, but also the number of computerized offices with access to internet has risen making fast, reliable transfers of information within the Judiciary in general. IT project is underway to connect all regional centers with headquarters on e-communication and possibility of online case system is on progress.